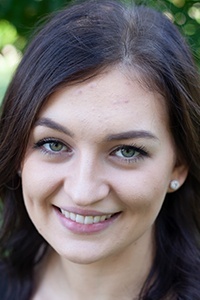 Kate attended Colorado State University before attending the Northern Colorado Dental Assisting Academy. Today, she has been working in dentistry for 12 years and is certified in CPR, OSHA, and HIPAA. She truly loves interacting with patients and helping them understand all of their treatment information and insurance benefits. Originally from Firestone, Kate is very close with her mom, her cousins, and plenty of longtime friends. She also has four brothers and a sweet black cat named Zoey. Her interests include gardening, painting, photography, traveling, art, and history. An interesting fact about Kate: Although she’s a Colorado native, she also spent two years living by the ocean in New Jersey. During that time, she collected thousands of seashells, sand dollars, and sea glass pieces that she artistically displays in her home. Allessa’s career in dentistry first got started in 2014, and she’s proud to now be a member of the J.B. Dental team! Originally from Frederick, she earned her education at Front Range Community College and Pima Medical Institute, earning her certifications in CPR, HIPAA, OSHA, and as a Certified Dental Assistant. Her favorite part of this position is being able to help patients clearly understand their insurance benefits and what’s covered by their unique plan. At home, Allessa has a fiancé, one son, one daughter, and two dogs. Her hobbies include going to sports events for the kids, hiking, fishing, and reading. An interesting fact about Allessa: In 2014, she was in Cabo with her mom, grandma, and aunt when Hurricane Odile hit – it was a Category 4! They were stuck in the hotel for three days without water, electricity, and very limited food. Cathy’s career in dentistry covers almost 15 years so far. 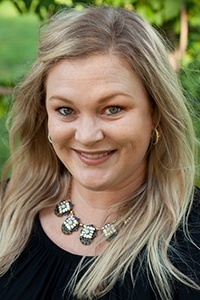 She studied Business Management at Metro State College before pursuing her oral healthcare education at the University of Colorado School of Dental Medicine. Today, she has her EFDA certification and is also fully trained in CEREC and E4D technology. What she enjoys most about her work is being able to help patients feel comfortable throughout their appointments and building trusting relationships with them over time. Outside of work, Cathy has four siblings, five nieces, one great nephew, and three great nieces. She also has two little girl Dachshunds named Hazel and Hadley who keep her very busy. She spends her free time going to the mountains and staying at her family’s cabin, as well as watching movies and hanging out with loved ones. An interesting fact about Cathy: She loves to travel via cruise ships! Over the years, she’s been to the Caribbean twice, the Mexican Riviera, and Alaska. She plans to take many more trips in the future, too. 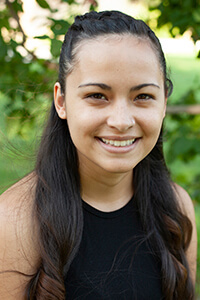 Kristina is originally from Willow Springs, MO. 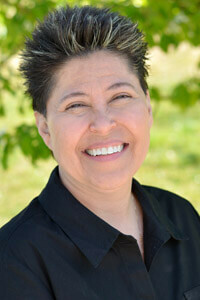 She studied at Ozarks Technical Community College and is certified in laser dentistry. Today, she’s been working in the oral healthcare for almost three years and counting. She greatly enjoys being able to educate her parents about good dental hygiene and see the improvements they make firsthand. Kristina’s family consists of her, her hubby, and her German Pinscher Zeus. Her hobbies outside of the office include hiking, doing yoga, and art. An interesting fact about Kristina: She speaks Russian fluently! 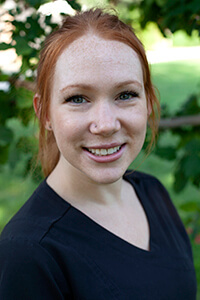 Courtney hails from Ludlow, MA and has been working in the dental field for almost six years. She studied at Springfield Technical Community College and has her certifications in local anesthesia and laser dentistry. She loves meeting new people through her work, as well as being able to help them meet their dental goals – whatever they may be! Courtney lives in Colorado with her longtime boyfriend Kyle; the rest of her family is still in Massachusetts. When she isn’t busy at work, she spends her free time traveling, exploring new areas, snowboarding, and camping. An interesting fact about Courtney: She is a HUGE New England sports fan and has witnessed all four of the major teams win a championship!